The travel route from Krabi to Koh Tao is nearly the same all three companies. First, you take a bus from Krabi town to Donsak in Surat Thani province, a journey which takes about 3 hours. Then from Donsak you board a ferry, which takes about 3 hours, to get to Koh Tao via Koh Samui and Koh Phangan. 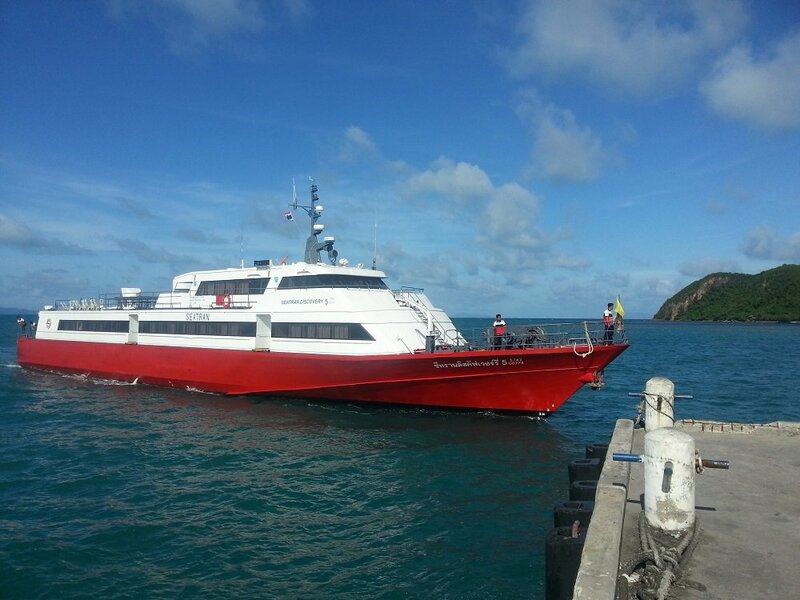 Lomprayah ferry services now depart from a ferry pier closer to Surat Thani city centre. Use the Search Box below to buy joint bus and ferry tickets from Krabi to Koh Tao. Find the best departure and arrival times. This service leaves from outside the Lomprayah Office on the Vatchara Road, which is the main road through Krabi Town. It is worth bearing in mind that this office is outside of the town centre and some 2.8 km by road from the Maharaj Road where shared taxis from popular locations such as Ao Nang arrive. The office is not on the public transport routes from the beach resorts and you may need to take a taxi or tuk-tuk to get there. This service departs from the Seartran Discovery office on Soi Seebaramee 1, which is just off Soi Maharaj and near the centre of Krabi Town. To get there by public transport, including from Ao Nang, take a shared pick up truck taxi to the Vogue Shopping centre on Soi Maharaj and walk 500 metres from there to the Seatran Discovery office. This service departs from the Andaman Wave Master Bus Station on the Vatchara Road 4.3 km from the City Pillar Shrine in the centre of Krabi town. The Songserm provides a budget service which is quick and cheap. The downside of travelling with the Songserm company is the poor standards of customer service. The Songserm company has been in operation for a long time and the way the business is run is pretty much identical to the way it was run 20 years when the majority of the customers where young backpackers visiting the islands for the Full Moon Party. The Seatran and Lomprayah companies have modernised their service standards to keep up with the times, the Songserm company has not. 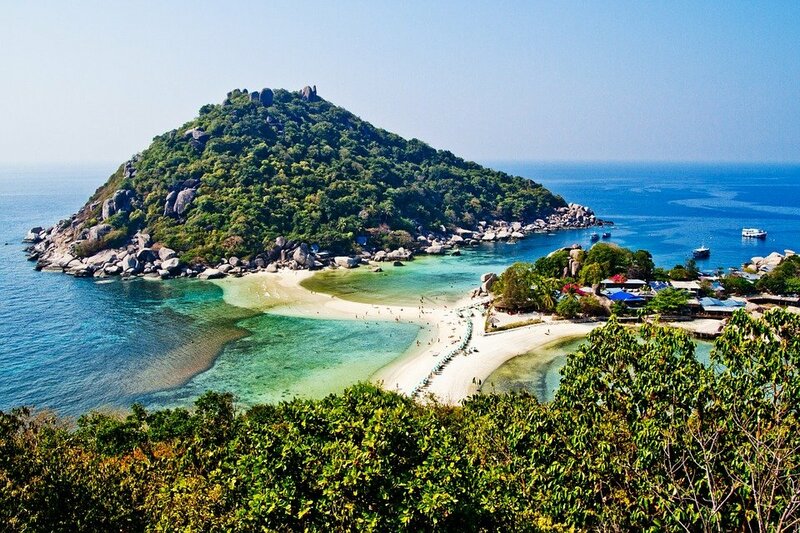 There are two routes you can use to travel from Krabi to Koh Tao. The route via Surat Thani is the one used by the companies offering a direct point to point travel service from Krabi to Koh Tao. Route 1: via Chumphon (Thung Makham pier). It takes 3 hours 48 minutes by road from Krabi to Chumphon, although the journey by public bus can take up to 8 hours. 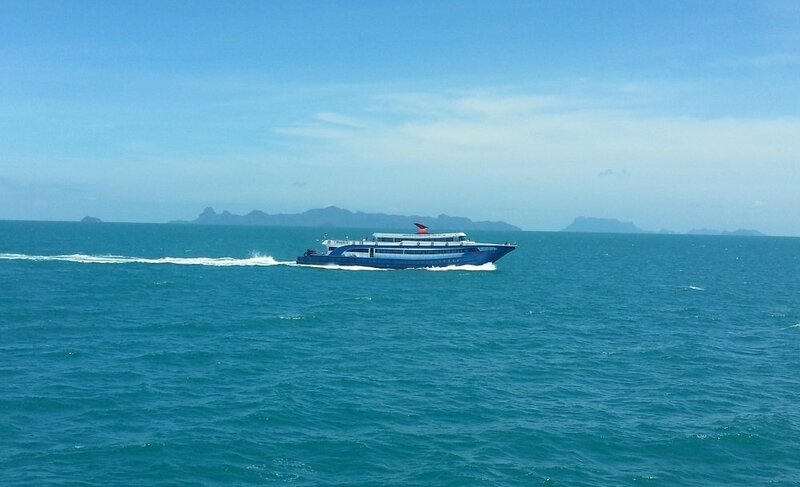 Lomprayah ferries to Koh Tao depart from nearby Thung Makham pier at 7.00 and 13.00. This is the cheapest route to take from Krabi to Chumphon because the ferries from Chumphon to Koh Tao are cheaper than the ferries from Surat Thani province to Koh Tao. Route 2: via Surat Thani (Donsak ferry pier). It takes 1 hour 50 minutes by road from Krabi to Surat Thani, and from there it takes 60 to 90 minutes by bus to reach any of the Donsak ferry ports. There are four different ferry piers in Donsak so make sure that you travel to the right one. Boats from Donsak to Koh Tao leave at 10.10, 11.00, 14.30 and 16.00. Alternatively, from Surat Thani city centre you can take the Night Boat to Koh Tao which departs at 23.00 and arrives in Koh Tao at 08:00. All three services arrive at Mae Haad Pier, which is near the main town of Koh Tao on Sairee Beach and where the majority of the resorts are located. If you are staying somewhere too far to walk to from Mae Haad Pier, then there are always plenty of shared taxis which are already waiting at the pier whenever a boat arrives.